Have you ever made a card for a challenge and rush to get it Photographed and get it all ready to post and then realize right before you hit the Publish or Submit button that you completely missed the deadline. UGH! This has happened to me more often than I care to claim. LOL I guess the weeks have gotten away from me. Anyhoo, This card was for the Mojo Monday 225 sketch that you can find HERE, but now it’s for the Can you add Texture to your card over HERE at Stamp TV! I have lots of different textures on this card! I also decided to try using chalk again. I forgot how much I enjoy it! Oh well, things do have a way of working them selves out. Have a blessed day! 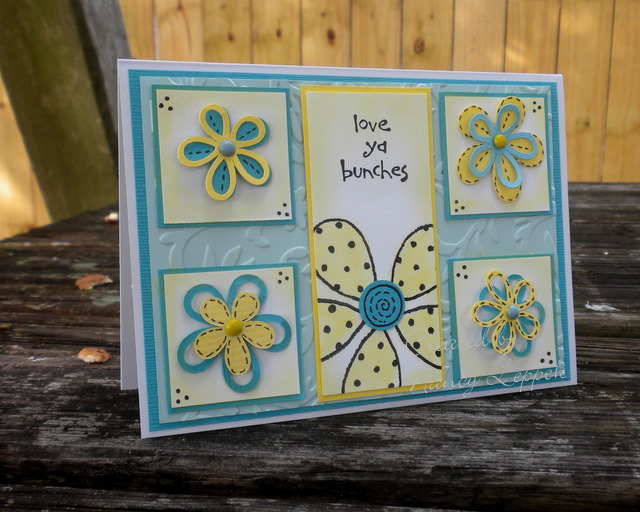 Categories: Cards, challenges | Tags: Card making, Cards, love, rubber stamps, Stamp TV Challenge, stamping | Permalink.